“... Art and culture can build bridges, cross borders and pull away from stereotypical categorized thinking. Therefore, initiatives such as Black International Cinema Berlin are important for the capital of Germany. A journey may be lengthy, challenging and rewarding, in relationship to the goals of determination, vision and a little luck, of the travellers. We, of the XXVII. 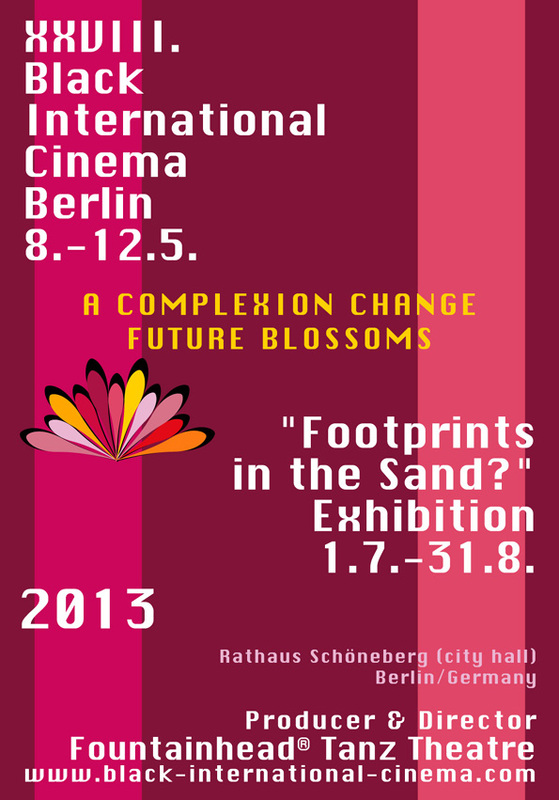 Black International Cinema Berlin 2012 Festival and "Footprints in the Sand?" Exhibition, wish to communicate the experience of resolving challenges and climbing to the mountaintop, once again! As we breathe a momentary sigh of relief, we hope our ascent will serve as a source of information and inspiration to our fellow travellers, world-wide! It will not be an easy task, but as long as it is possible, we, you and they, will find a way to an oasis on our mountaintop! We wish to extend a debt of gratitude and profound appreciation for the contributions of Mayor Willy Brandt and President John F. Kennedy on June 26, 1963, for contributing to the circumstances, which permit us to assemble here today in Berlin and in peace. The entrance to all events is free of charge. 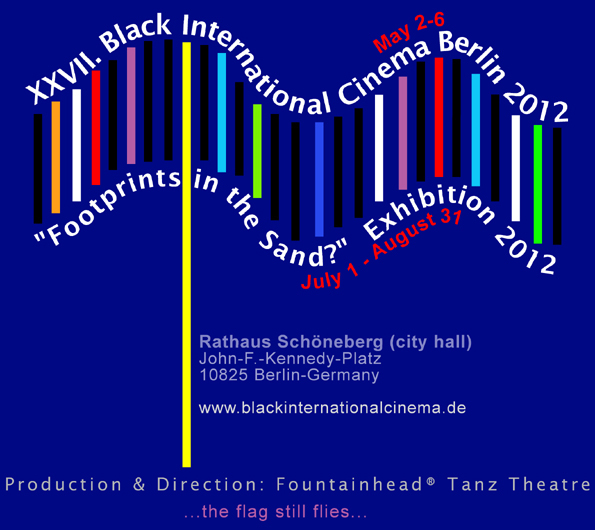 From May 2-6, 2012, Fountainhead® Tanz Theatre under the direction of Prof. Gayle McKinney Griffith und Prof. Donald Muldrow Griffith will present the 27th edition of Black International Cinema Berlin. For the fourth time the event will occur in cooperation with the commissioner for integration of the Berlin district Tempelhof-Schöneberg in the John-F.-Kennedy-Saal, in the cinema and library of the historical city hall of Schöneberg. Black International Cinema Berlin is an intercultural and interdisciplinary festival, presenting the contributions of international filmmakers, artists and engaged people with diverse cultural, ethnic, socio-economic und religious backgrounds. The festival focuses on presenting works from the African Diaspora as well as contributions dealing with intercultural themes and perspectives. Black International Cinema Berlin offers a forum for the intellectual and artistic exchange and seeks to provide an oasis of inspiration and information to contribute towards a peaceful and respectful living together in our multi-faceted society. The film program will be accompanied by discussions, performances, seminars and musical presentations. Subsequently and as part of the festival, Fountainhead® Tanz Theatre will produce and direct the photographic exhibition and visual documentation "FOOTPRINTS IN THE SAND? ", which will be seen from July 1 until August 31, 2012 in the foyer of the Rathaus Schöneberg. The exhibition documents the history of Fountainhead® Tanz Theatre in association with international artists. It paints a picture of the activities of various people during their historical contributions to Berlin, elsewhere and hence, the portrait seeks to prevent these undertakings from becoming "Footprints in the Sand? ".